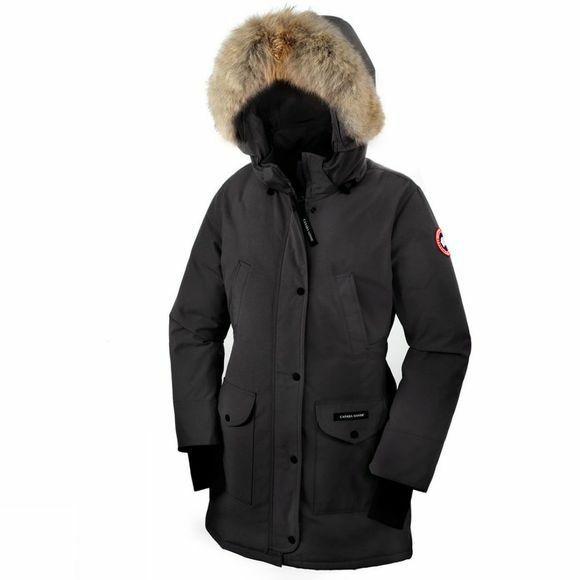 The Trillium Parka from Canada Goose combines a sleek fit, cinched waist and slimming lines with 625 fill power white duck down to create an extremely warm parka. A removable coyote fur trim at the hood and Arctic-Tech fabric are specially designed to keep you comfortably warm. The Trillium Parka ensures optimum protection from challenging weather conditions, whether you're strolling the citys pavements or walking in the snow.